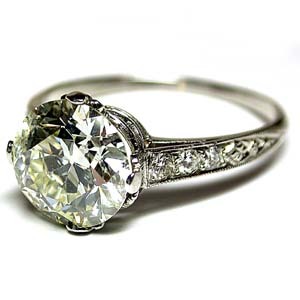 Art deco period platinum and diamond engagement ring, circa 1925. Centering an old European cut diamond surmounting with crown shaped basket flanked by diamond set shoulders and a polished platinum shank. The ring will come with an $31,250 appraisal.